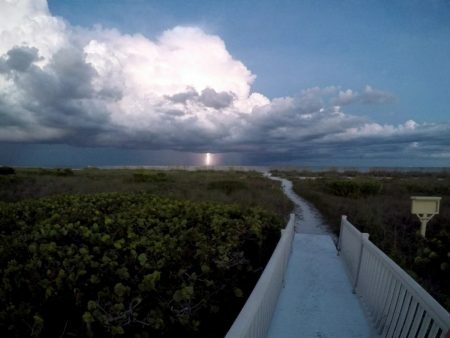 Plan your Sanibel Island getaway here! This lovely vacation condo is part of a 27-unit complex on 13 acres. It has everything you need to enjoy your beach vacation. Sandpiper Beach #202 is perfect for couples and families with room to sleep up to 6 people! It's beautifully updated and a lovely place to spend time while you're not on the beach, shelling or enjoying island activities. Relax on the lanai with a book, a cup of coffee or a cocktail and enjoy a colorful Sanibel sunrise and sunset at Sandpiper Beach 202. Sandpiper Beach is located adjacent to Gulfside City Park. It is truly a get-away-from-it-all spot, just off of Middle Gulf Drive. With 5 buildings (no elevators), covered parking, an outdoor heated pool, tennis court, shuffleboard and bbq grilling areas, Sandpiper Beach has everything you would want in a very secluded location. Sandpiper Beach 202 is a first-living level unit with 2 bedrooms and 2 bathrooms. It has porcelain tile throughout the kitchen, living room, dining room and bathrooms, and carpet in the bedrooms. The kitchen is fully-equipped with a stove, oven, refrigerator, dishwasher, microwave and a breakfast bar. The dining room seats 6 comfortably, while the living room has a queen sleeper sofa, loveseat, side chair, flat panel tv/dvd player and wi-fi. The screened lanai is just off of the living room, and overlooks the grounds out to the gulf. The master bedroom has a King bed, flat panel tv, newly expanded and renovated en-suite bath with double vanity and shower, and a sliding door to the screened lanai. The bathroom has a spa-like feel with cool blue hues, subway tile and Carerra marble vanity top. The guest bedroom has two extra-long twin beds that can be left separate or honeymoon them together as a King bed. It has a full-size closet and is across the hall from the full newly renovated bath with its subway-tiled shower and single vanity. A closet area with a full-size washer dryer is located just outside the guest bathroom. A quick trip downstairs leads you to the swimming pool and boardwalk to the beach. The pool has chaise lounges, tables and restrooms. The boardwalk has a shell-washing station and leads out to the sugar sand beach. 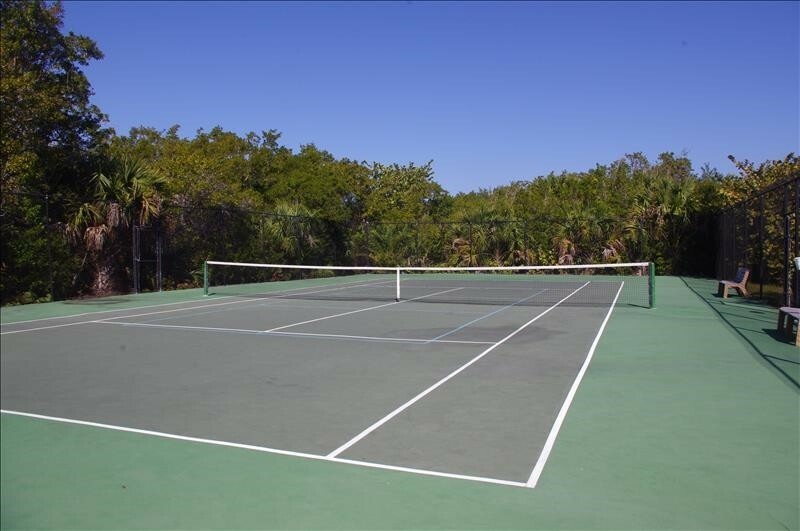 There is a tennis court for your use, and it doubles as a Pickle Ball court. 4 Paddles are provided. This property is zoned for minimum 7 night rentals. 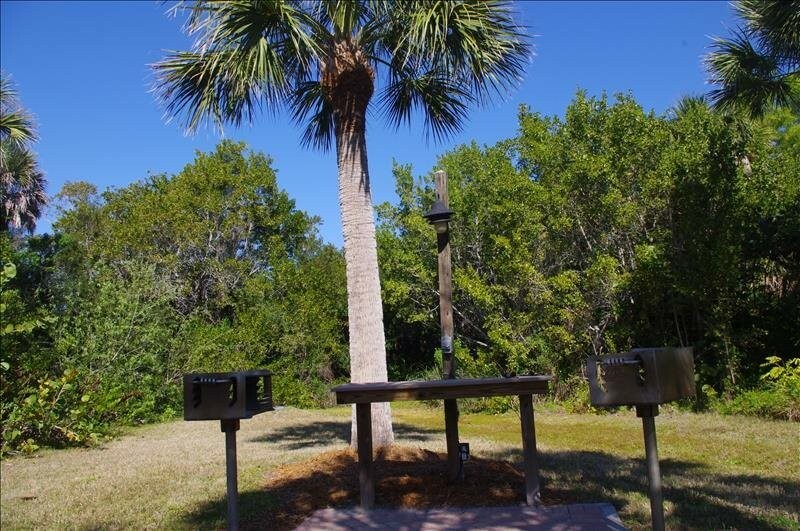 Sandpiper Beach is a Smoke-Free property. Trucks are not permitted. Sanpiper Beach 202 is professionally managed by Cottages to Castles of Sanibel & Captiva. Since 1997, they've been making sure that each stay is a memorable one. Please contact me with information regarding Sandpiper Beach 202. Great condo! Great place to vacation! Our 3rd time to Sanibel, but our 1st to Sandpiper, and for 2 weeks! What a grand time we have had, we hate to leave. The accommodations and grounds here are lovely. So many shells we found and are bringing them back to Virginia. As usual, we ate and biked our way along the island, Ding Darling was great. This is not our first trip to Sanibel, but it is the first time we have used Sandpiper. Such a calm, restful place that we have booked for next year. 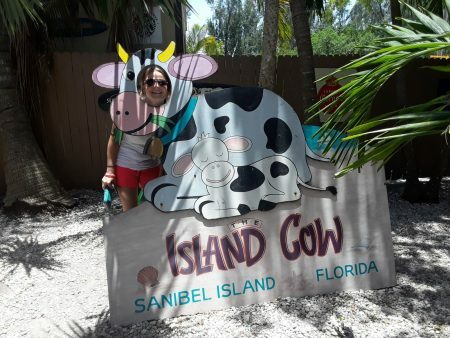 We think we have been “hooked” on our yearly trips to this wonder island of Sanibel. We are “repeaters” for this condo, we love it! Have been coming to Sanibel for years. Had to skip a couple, but never mind, we’re back. And plan to repeat! Cottages to Castles always treats us well, better than family! Sharon is terrific! Shelling is better here. Go to the left always. Our favorite places to eat: Cips, Doc Fords, Blue Giraffe. We always get our “stuff” at Baileys. Check out Gene’s Books. Go to Ding Darling and The Bailey Tract. This was our first vacation on Sanibel Island. We enjoyed shelling on the beach, kayaking in Tarpon Bay, and a sunset cruise on Captiva! Amazing fishing right off the pier down at the Lighthouse Beach! Yesterday we saw two large manatees! We also saw alligators, dolphins and many different species of birds. 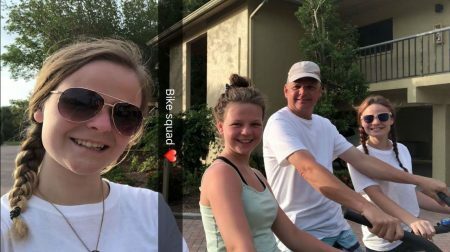 We rented bikes and toured all over the island- so much fun! Thank you for a wonderful vacation! We found Sanibel Island and Sandpiper 202 fantastic for our first visit. The location is ideal, quiet, relaxing, and close to everything! We did a lot of shelling, sitting and reading, walking and enjoying many sunrises at the beach. 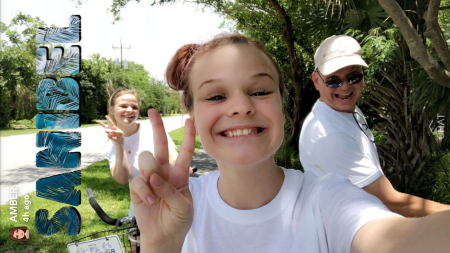 We also biked, took a shelling cruise, ate at many great restaurants, visited with some area friends and really enjoyed Sanibel Community Church. We took this trip to honor our mom, who loved the beach and died in 5/15. She would have loved Sanibel, as we did!! Thanks for a well supplied and lovely condo. Blessings to you! We will be back, this is a special place! Lovely relaxing stay at Sanibel. We are in wonder at the quiet here and at how we all were drawn to pick up shells again and again! Beautiful place, very clean and comfortable space. The pool was spotless, the warmest and best we’ve ever been in! We stayed in unit 202 and it was fantastic! We had a great view and it was close to the beach and the pool. This was the most fully stocked vacation unit I have ever stayed at!!! Beach chairs, towels, umbrella, sand toys, and the most stocked kitchen ever!! I will definitely book this unit again. National Selfie Day AND the 1st Day of Summer! We enjoyed the condo was very clean, decorated very nice, kitchen was fully equipped with everything that was needed. The screened in balcony was great for sitting at the table in the morning. Gulf was nice, first time for the kids to get their feet in the sand and to see the ocean. The ocean wasn’t clear – kind of murky, hard to look for sand dollars or shells with goggles, but still fun. Pool was very nice and clean. Rented bicycles from Billy’s rentals – great way to get around on the island going from shops to restaurants. Very clean, quiet, comfortable place for a family to visit. 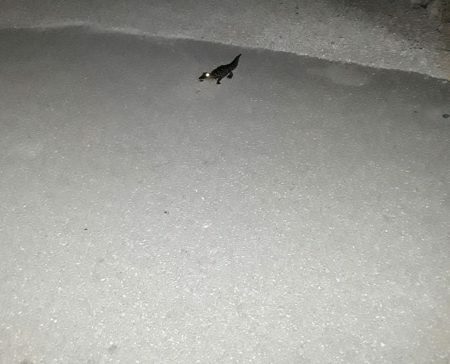 …On the way out Saturday morning at 5:15am to drop the keys off and head to the airport we finally got to see a baby alligator at the end of the driveway! THAT made the kids “end of the sad time” smiles return…. We did not realize that we were staying in an apartment building that had a total of 6 apartments until we got there. But it really didn’t matter because it was so nice. The apartment is decorated very nicely. Our king size bed was very comfortable. Our 18 year old son slept on the sofa bed. He did say that it was uncomfortable. Our 17 year old daughter commented that her twin bed was not very comfortable. We really enjoyed the gulf, the beach and the swimming pool. It was great to have the washer and dryer to keep our beach towels and bath towels clean. My husband really enjoyed sitting out on the screened in balcony and reading in the morning. The local grocery store (Jerry’s) had everything that we needed. We enjoyed all of the seashells very much. All of the wildlife was amazing. We had a great time discovering the sand dollars and crabs and other animals. Overall, it was a great, clean, comfortable place to stay. We would stay there again. It was a perfect, quiet place for our family to spend time together and enjoy the Florida sunshine and the beach. Really appreciated how well equipped this unit was. The kitchen had plenty of utensils, cookware, everything we needed for a few dinners in. The bathrooms were very nicely updated fresh and clean. Furnishings were very nice as well. The storage unit in the garage had some beach chairs and an umbrella which, in July, was very much needed. It’s a bit of a walk from the unit to the beach, along a well maintained boardwalk. We were a bit envious of those with wagons for all their gear. A very nice spot.